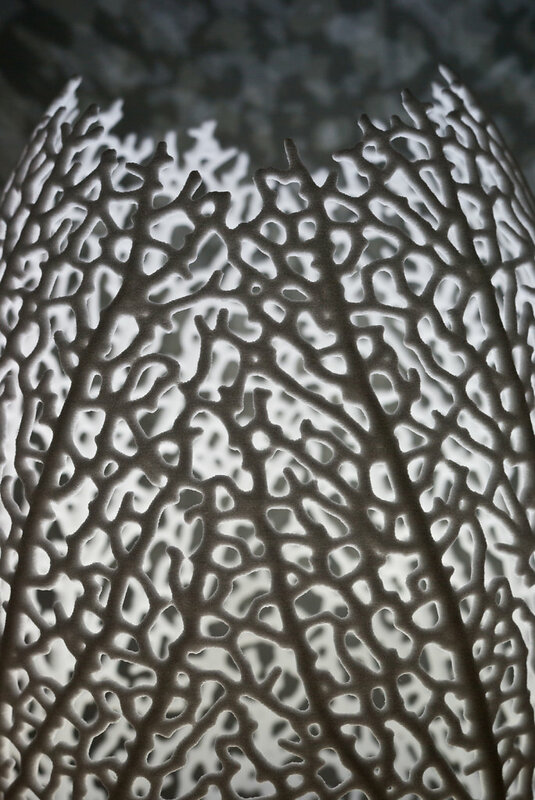 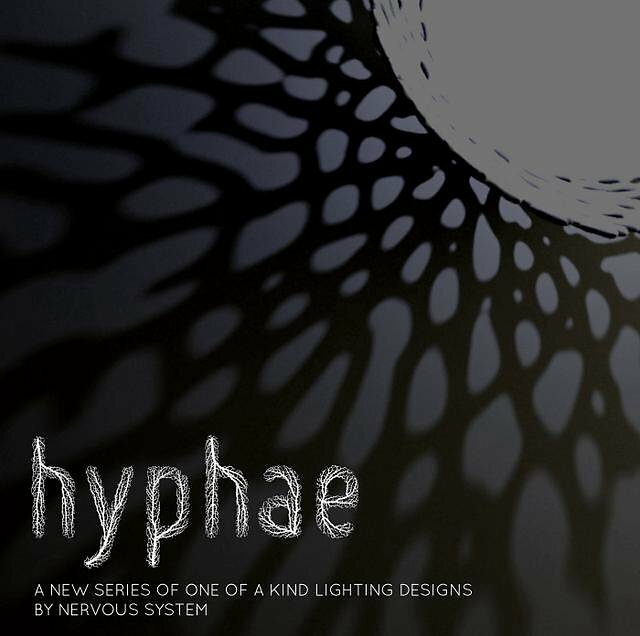 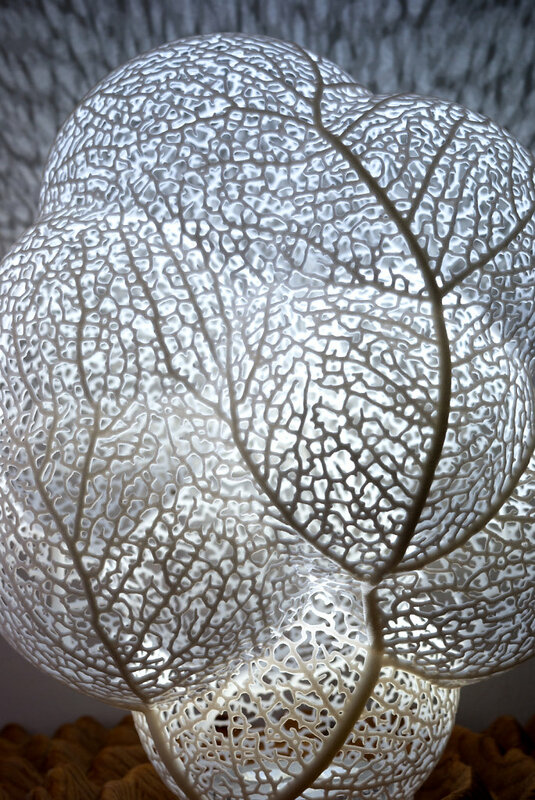 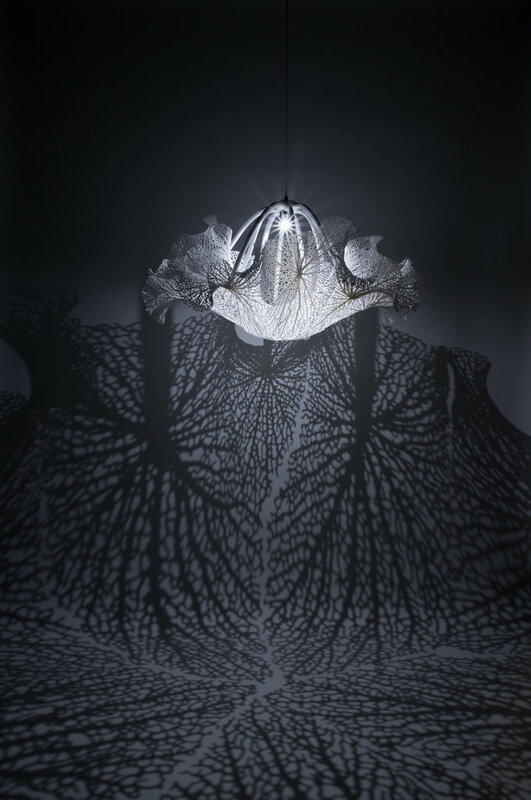 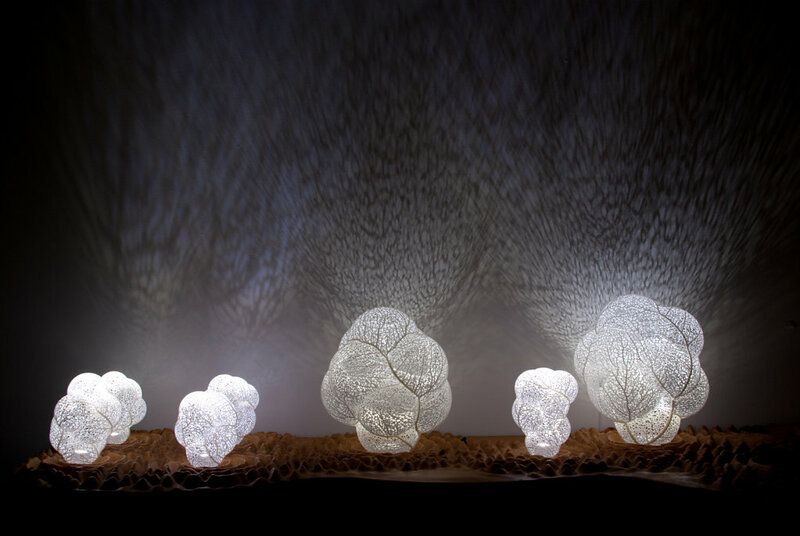 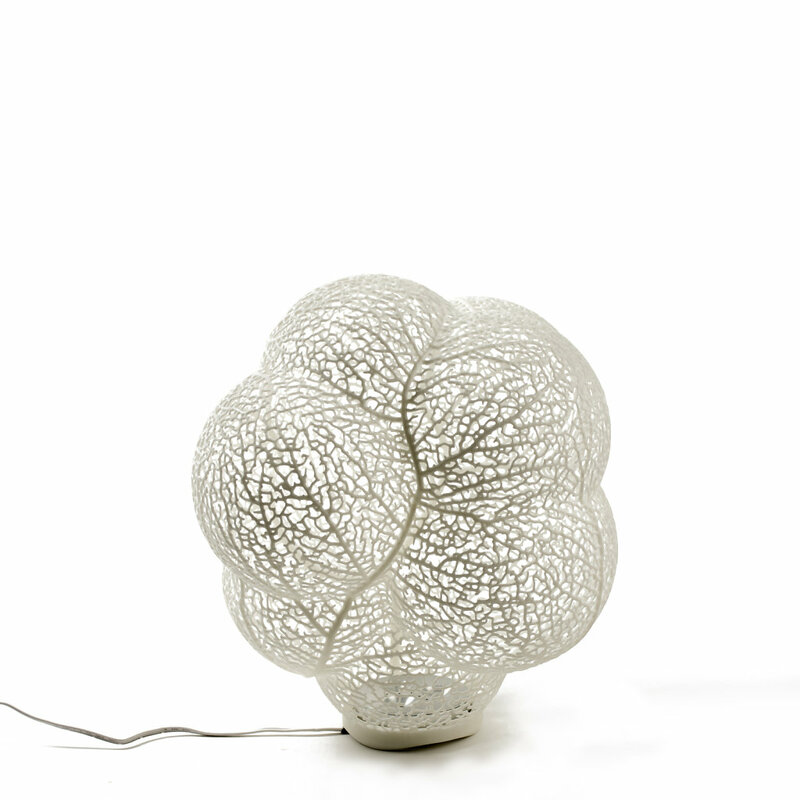 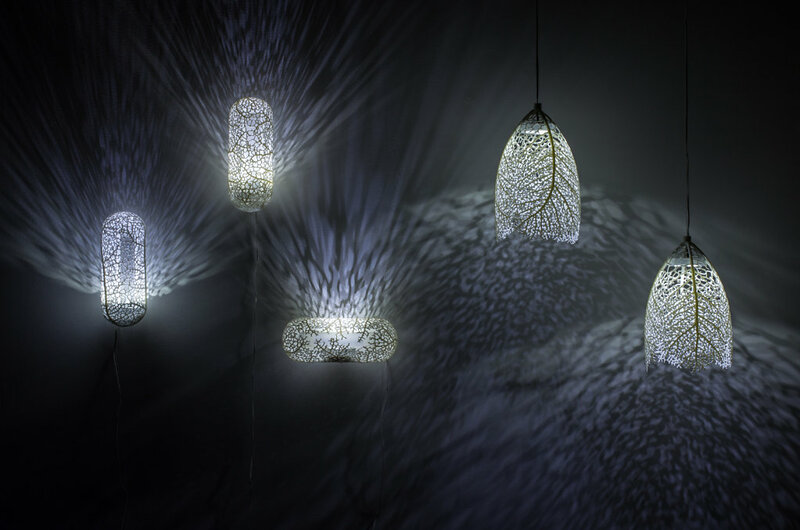 The Hyphae Lamps are a series of generative lamps inspired by how veins form in leaves. 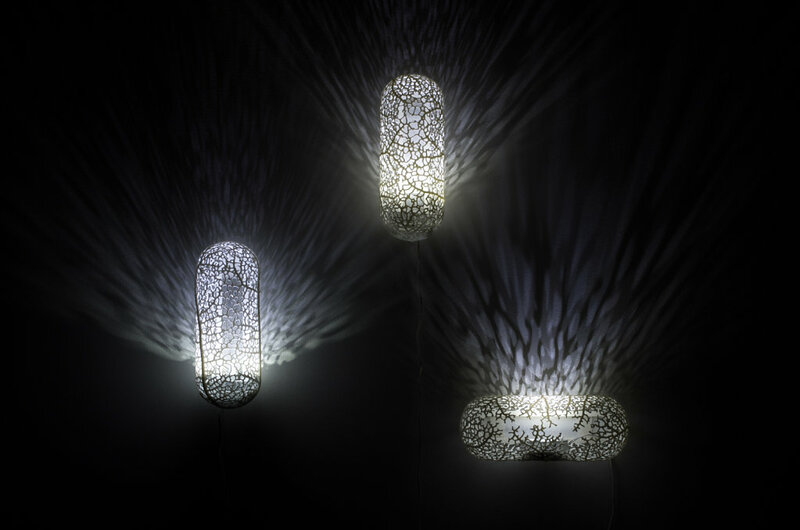 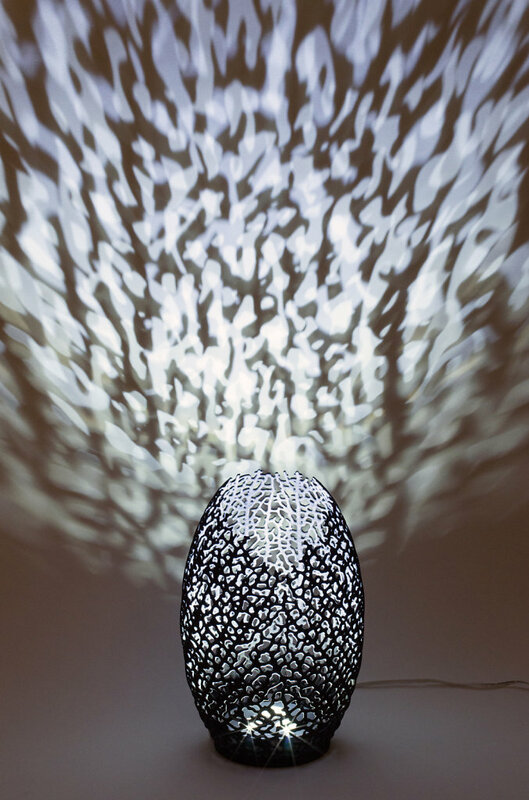 Each lamp is digitally grown in a computer simulation and fabricated with 3D printing. 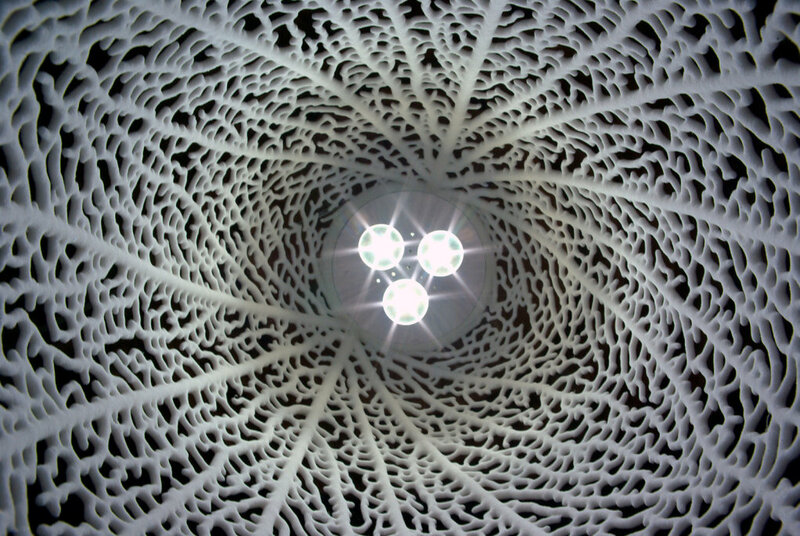 Every lamp is unique. 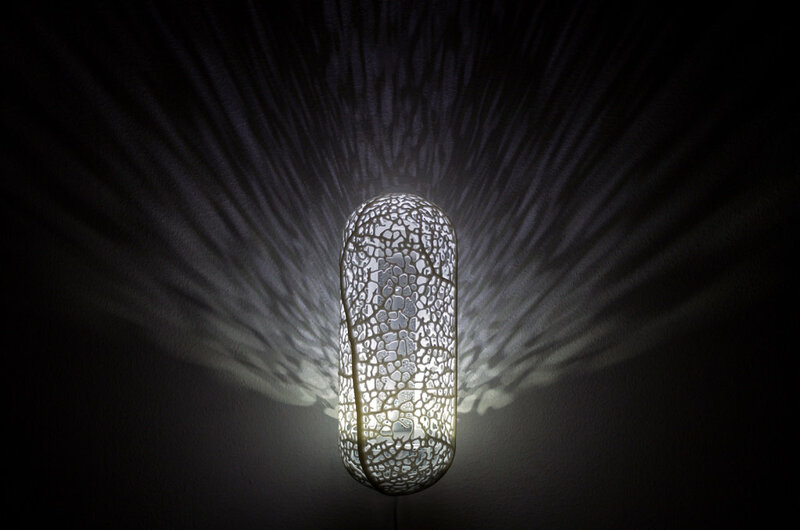 Efficient LED fixtures illuminate the lamps, casting dramatic, aetherial shadows on the surrounding environment. 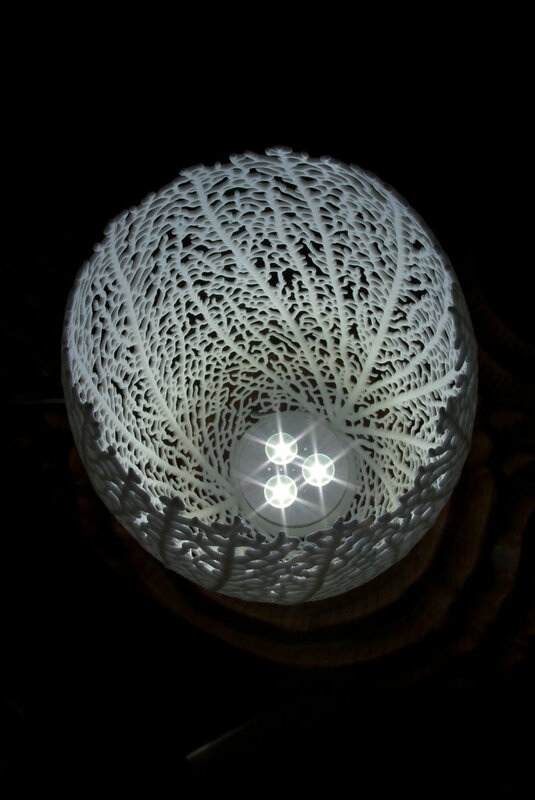 The lamps are grown in custom design software we created in C++ using CGAL. 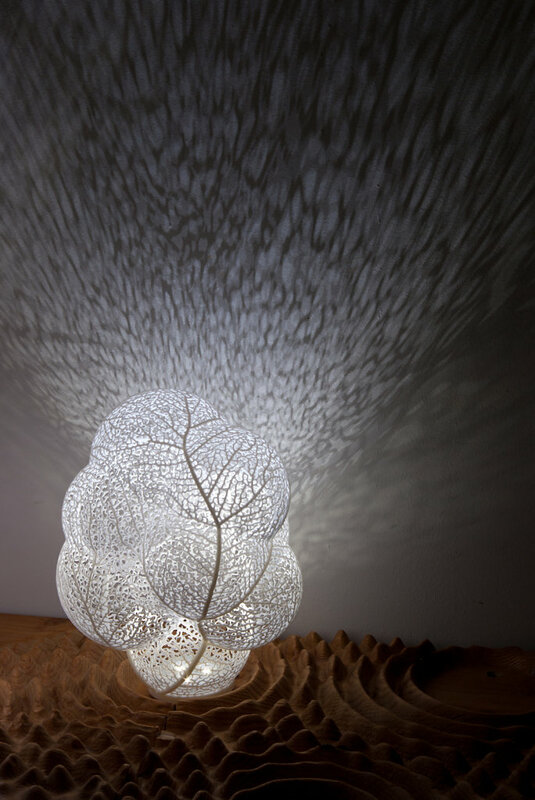 The branching network evokes leaves, coral, and roots without precisely replicating any natural form. 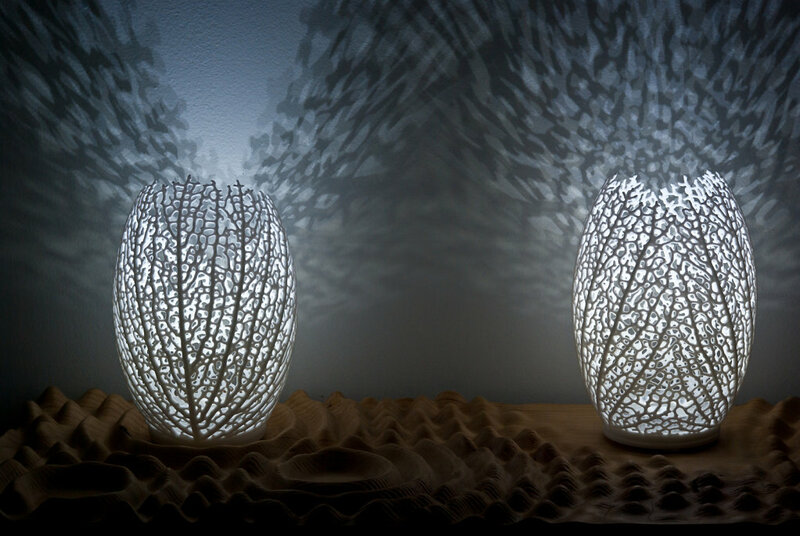 Each lamp starts from a base volume and a set of root points; the lamp’s structure emerges through an iterative process as the roots grow into an auxin filled environment. 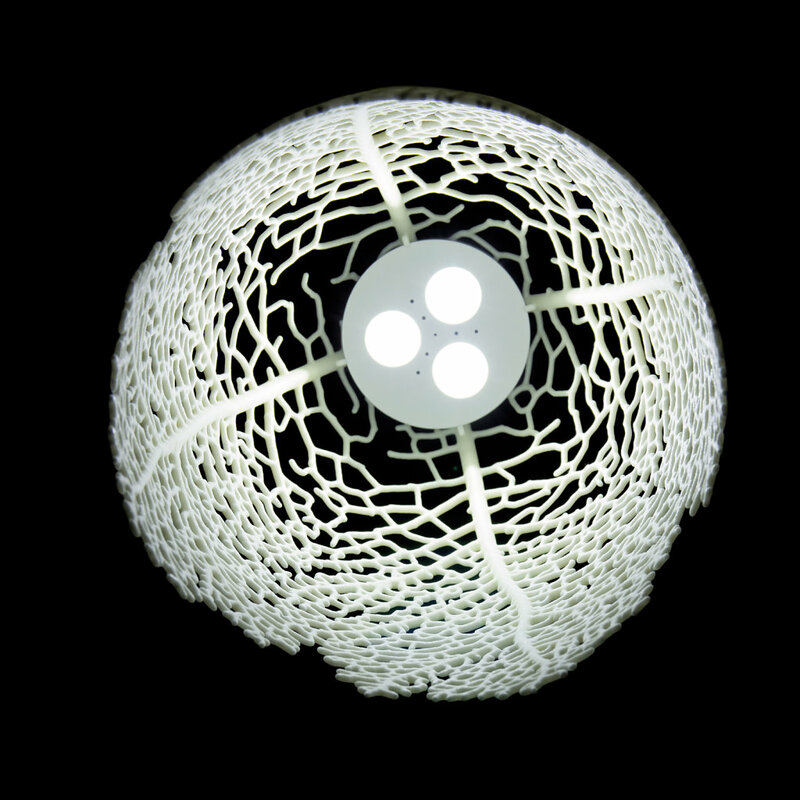 The system is optimized to produce designs for manufacturing by Selective Laser Sintering. 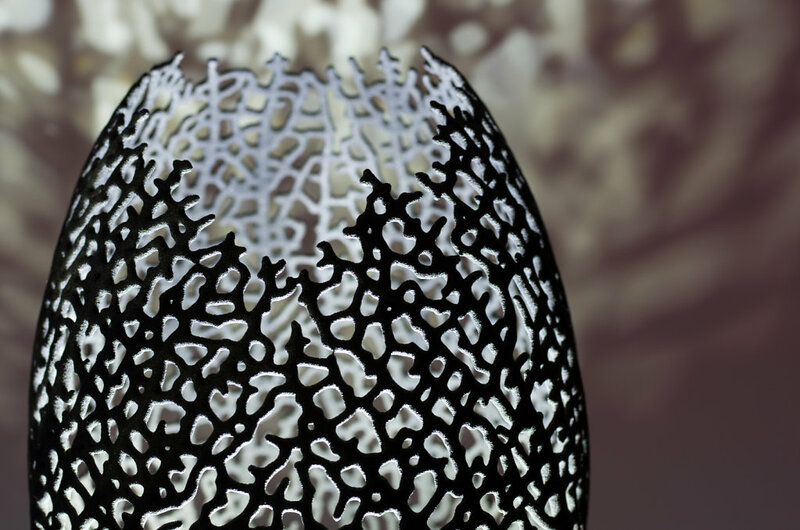 They capitalize both on 3d-printing’s ability to create complex organic forms but also to create all unique products as there are no costs for tooling and no need for molds. 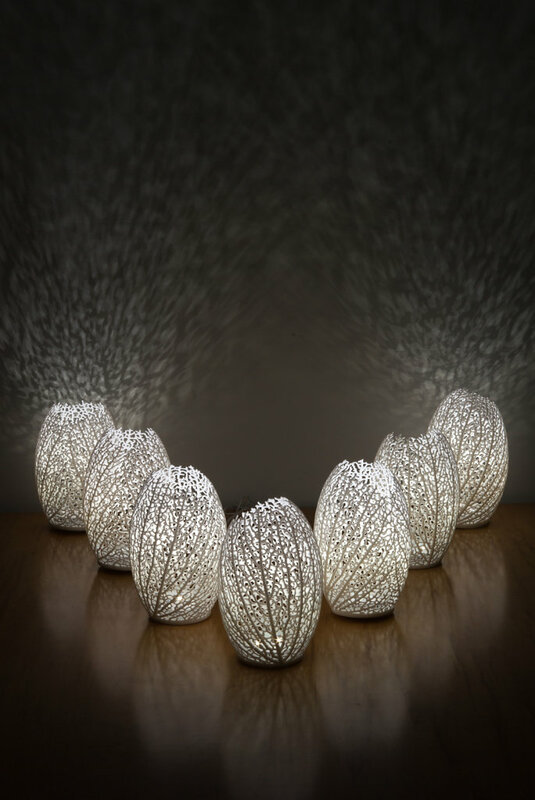 The pieces are 3d-printed by the NYC-based service Shapeways. 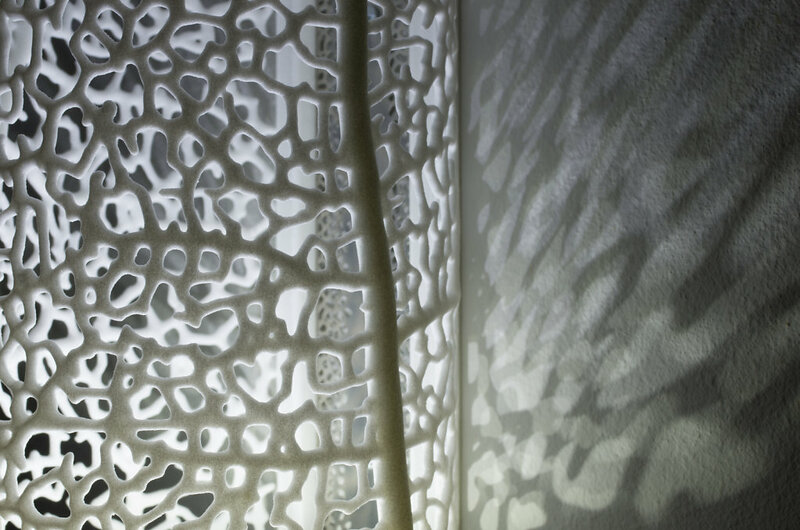 The 3D-printing process minimizes waste, using only the material in the final form. 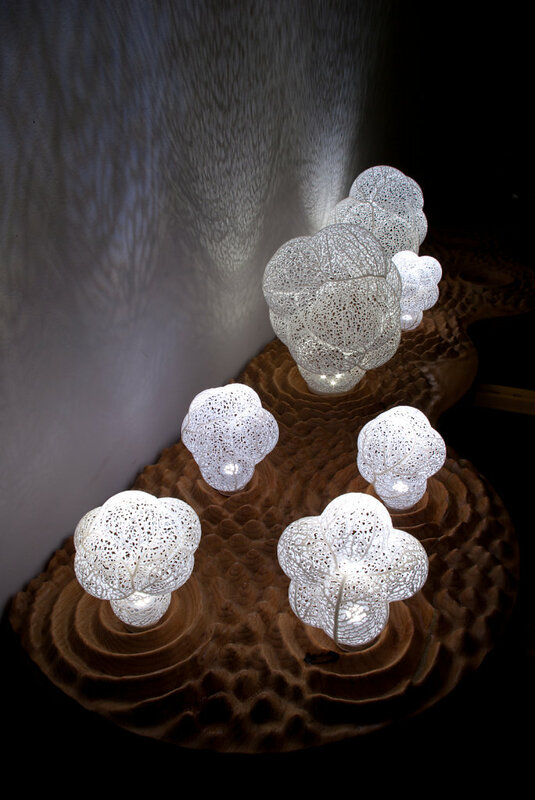 Each lamp is fabricated on demand.